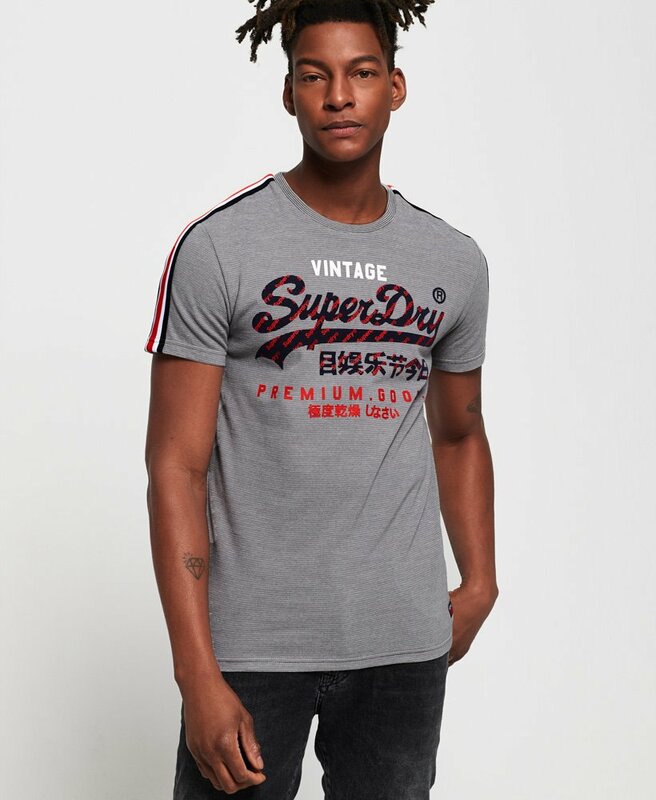 Superdry men's Premium Goods race stripe t-shirt. A classic crew neck t-shirt, featuring short sleeves, large logo graphic on the chest and stripe detailing on the shoulders. Crafted from super soft fabric, this t-shirt is completed with a logo badge above the hem.